*Optional early disembarkation 1.45pm King St Wharf No.1 or 2.20pm Circular Quay. In a setting as beautiful as Sydney Harbour, there really is no excuse for anything other than a long lunch. 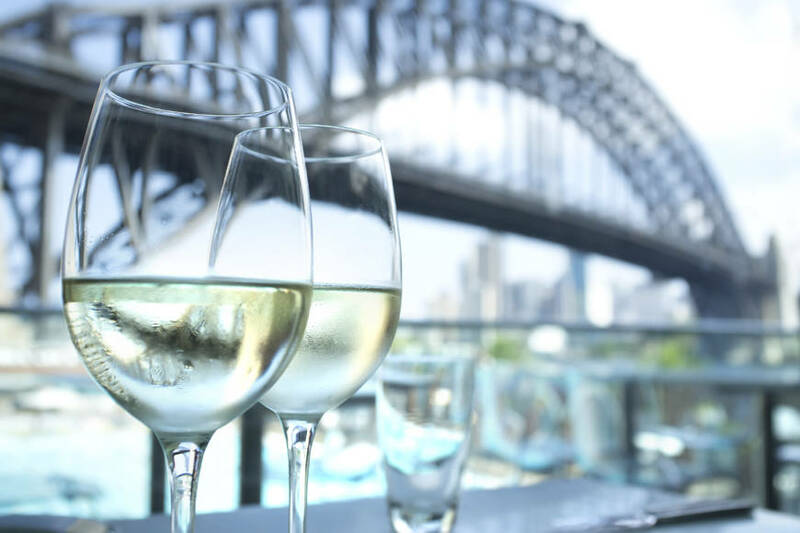 Indulge in three-course a la carte dining, upper deck seating on the superb MV Sydney 2000 and views that easily rival every other harbour in the world. You’re worth it! Everyone deserves a long lunch and lovely as this. The menu is a la carte offering a superb selection Contemporary Australian cuisine. The seafood selection is always popular, as is the melt in the mouth beef or lamb and desserts the kids will love from the first taste to the last crumb. The wine selection features some of Australia’s best-known labels, plus a small selection of outstanding international wines and liqueurs. Cruise aboard Sydney’s most prestigious cruise ship MV Sydney 2000, seated on the upper restaurant deck with million dollar views. For 360-degree viewing venture to very top of the vessel and enjoy the sunshine as you cruise the most spectacular parts of the main harbour. All very organised, clean and modern boat, staff helpful and friendly, nice relaxing tour. Service: We had an excellent day, the food was very good as was the service, we also enjoyed the commentary as we floated along it was very interesting and we learnt history of Australia that we didn't know about . Product: It was worth the expense, food was wonderful but meals could have been bigger, for a long lunch we expected a 4 course. Service: the service was great the food was great. but we were very disappointed that the cruise only lasted 1 hour 50 minutes when we were informed that the cruise would be 3 hours 30 minutes. we did not get what we paid for. Thank you for the review of your experience of your Cruise. Our cruise times are listed on our website for complete transparency for our customers and we follow this as closely as possible. Our Top Deck Lunch customers depart our vessel early as our Long Lunch Cruise continues. We believe in this instance, you have mistakenly departed the vessel with out Top Deck Lunch passengers. We always encourage customers to listen to all announcements and to speak to our staff with any inquiries you may have. Staff were very friendly and helpful, our waitress was Mickey. Food was delicious and very good value for money. Service: Food was great. Best views in the world. Ship was also great. Only thought with the drinks service, they forgot us. Only had 1 round of drinks and not offered any further. Then they gave us the bill. We finally had to ask and also ask for coffees. Product: Great Value. Highly recommend a Long Lunch on the seas. Service: We enjoyed the meal and the service. we paid more for a window seat which was well worth it. Product: enjoyed the meal and the service. Paid more for the window seat but it was worth it. first lap around we ate our meal and the second lap we took our drinks onto the deck. Service: The cruise was extremely well organized. The service provided by Servers and Crew was first class and the food was of high (restaurant) standard. Product: Food was amazing. Best ever 3course meal. Birthday surprise, most amazing and friendly staff. Other patrons friendly and approachable to chat with. Product: Made to feel Special OWZAT! Service: Customer service could have been improved. The waiters were more busy cleaning up for later events than coming to follow up with coffee requests or drinks or whether things were oK. Need better staff training in hospitality. It was good not to have people/ tables too close. The cruise was nice. We appreciated the 3 yr old twins being invited to see the captain. It was nice to have our birthday cake delivered by staff. Product: My husband's pasta dish had something hard, a piece of ravioli or pastry. He complained to the waitress. The children's meals were good. In general the meal was good and enjoyed. 2 guests wanted soft drinks but told there were none only juice. Disappointment for them. Thank you for the review of your experience of your Cruise. We are disappointed to read that the service on your cruise wasn’t to your standards. We can assure you that our staff are trained to provide our customers devoted and efficient service. We always encourage guests to talk to the Cruise Director on board if they have any concerns, especially regarding food, drinks and service as they will be able to solve the problem immediately. Please be assured your concerns have been forwarded to our catering and hospitality manager. Everything was well organised, the boat was clean the food was excellent and the service was very good. Service: We chose the Captain Cook Cruise Long Lunch to celebrate the retirement of one of our long serving employees. The cruise did not disappoint. We were a party of 15 and the service and food were both excellent. We will not hesitate to book again in the future. Product: The long lunch was exceptional value for money. We booked early and due to the size of the party, received a discount on the fee. There was also the option to board and disembark at two different locations which meant that people could leave at a time that suited them. Fantastic experience for my Mothers 70th birthday. Service and food was excellent. Yes, I would recommend the service. Cannot think of any complaints. Service was great. Meals where very good we all enjoyed what we had. Just only thing i would complain is you need a proper coffee machine to make good coffee and cappuccino's. Its nice to finish a meal with good coffee. Service: Excellent service, food and wine was great, no probs there. Product: yes the steak was cooked to my liking and the other two courses were great. We had a fabulous time aboard Sydney 2000. It was our wedding anniversary. The staff made us very welcome and even organised for our fellow passengers to give us a round of applause. The bar staff shouted us mocktails with sparklers. We also met another couple sitting near us from Tasmania and by the end of the cruise we were organising to visit them for a holiday. We had a long lunch harbour cruise on the MV2000 for our anniversary. the food and service was first -class. Service: Fantastic experience for my Father’s 80th birthday. Service and food was excellent. Product: Food and service was excellent. Service: Excellent service. A bit shocked we were not told that the coffee was extra - $8 a cup was too high. Service: The service exceeded expectations. Staff were incredibly attentive and polite. Product: The lunch was delicious and good size servings. Also had a drinks package and was well worth it. Product: Good service..! I loved it..
Service: Nice food and a pleasant experience, the team had a good time. Thanks! Product: Service and food were both great. When I did the online booking it kept reverting back to the current date instead of the planned date. I changed it twice but when I checked, I was booked on a long lunch cruise that day even though the start time had already elapsed. A quick phone call and his was rectified. We were really looked after. The space was perfect. I would recommend the experience. We enjoyed our cruise, and the food was great. We would do it again. The long lunch cruise goes over some parts of the harbour twice. We would have preferred travelling further instead. Long Lunch Cruise was very short on cruising the best harbour in the world. Three times into Darling Harbour and not much further than Elizabeth Bay can hardly be called a SYDNEY HARBOUR CRUISE!!!! The food was average and the wine prices were expensive. Thank you for the review of your experience of your Cruise. We display our cruise routes on our website for all our cruises to enable customers the opportunity to know where they will be cruising and what to expect. Service: Really good food very clean. Staff terrific! We were a group of 10 relatives looking for somewhere different for lunch around Circular Quay and decided instead to try your "long Lunch" cruise. Apart from our table to be somewhat crowded we all had a great time. Personally, because of my age I found it difficult to traverse the steep stairs onboard. The food was better than expected and enjoyed by all. Service was excellent as was the food. Wine list could be improved. Do feel that having a top food and premium beverage package that we were charged for tea and coffees! Really.!! Staff felt embarrassed at having to ask for $$$ form tea and coffees. We had spent over $300 per couple on the day. Did not complete my request to wish my parents on their anniversary or add a sparkle to their dessert. Bad!! To state long lunch cruise is deceptive when the lunch is finished well before time only to repeat another round of dropping and picking passengers. What’s the point taking two rounds of the harbour?? Thank you for the review of your experience of your Cruise. We can assure you that our staff are trained to provide our customers devoted and efficient service, and will endeavour to fulfil all requests made by our customers. We display our cruise routes on our website for all our cruises to enable customers the opportunity to know where they will be cruising and what to expect. Product: My wife enjoyed herself, priceless. Service: A perfect lunch cruise on valentines day. Only reason I did not give 5 stars is that I was unable to upgrade to the drinks package once on board (had to be done before). 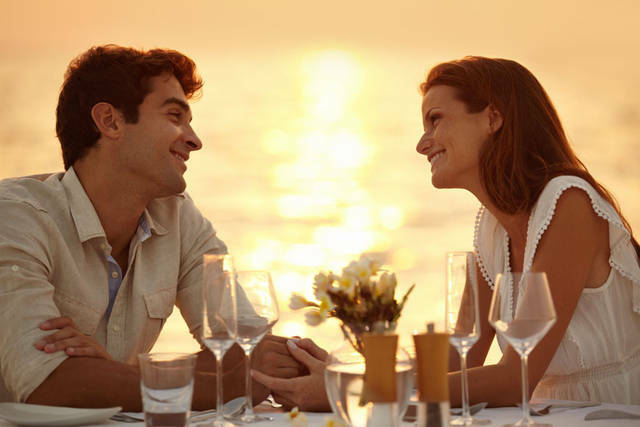 Product: A perfect lunch cruise on valentines day. At the time of booking there was a question of special diatery requierments. We specified gluten free and lactose free. But unfortunately there was no lactose free and then we sent our feed back with full explanation. Thank you for the review of your experience of your Cruise. We appreciate your honest and straightforward comments regarding your experience on the Lunch Cruise on 14th February 2019. I can assure you we have taken the necessary steps to address the issues you have raised. We certainly regret that we did not meet your expectations and appreciate the opportunity you have given us to improve. We are pleased to note that we have provided compensation to rectify these issues you experienced. Great service and the food was delicious! This is a great way to celebrate a birthday. Our waitress was very attentive and efficient. Service: Very friendly staff extremely efficient and helpful as my husband is disabled ! Product: Great meal nice wine!! Fantastic trip ! Service: Our waitress, Kellie, gave us exceptional service in a friendly caring manner. The meal was delicious and my food allergy was catered for. Product: I had to cancel one ticket and a refund was arranged without problems. Service: The best part was meeting Captain Cook at the departure!! Service: The catering was excellent with a friendly and experienced staff. Product: Good value for the money. The route was too short. On the booking it was shown 3.5 hours but was about 2 hrs. Very professional and well organised. Food was good too. Product: I expected more choice. Salmon was over cooked. Too few vegetables. Really nothing special, which is surely what you should be aiming for. Thank you for the review of your experience of your Cruise. We continually monitor all aspects of the production chain including receipt, storage, distribution, cooking and presentation to ensure a top quality and consistent product is presented to our guests, so we’re disappointed that this was not to your standards. As you know we do strive to deliver world best practice customer service from booking all the way through to the end product – so your review for this is very satisfying to receive. We always encourage guests to talk to the Cruise Director on board if they have any concerns, especially regarding food, drinks and service as they will be able to solve the problem immediately. Please be assured your concerns have been forwarded to our catering and hospitality manager. Service: Fantastic staff , we just love the whole lunch experience . We have been on a few now and will be in many more in future . Staff very pleasant and professional. Boat on time and clean. Food was very tasty service was not rushed! As I had overseas visitors they were as impressed as I was. As we had two Wedding Anniversaries to celebrate(40 & 50) it was a most enjoyable afternoon and would recommend your cruises. Service: Lance was very attentive and helpful . Product: I’m a Sydney boy, born and bred. My brother worked with you guys for years so I know the product well. I know the harbour, it’s beautiful. Lance’s service was great . I took and paid for myself and 3 guests . I paid for the premium drinks package . I tried every red and two whites . The Tyrells moon mountain which I buy on special at Dan Murphys for 20 dollars a bottle was the only average / decent quality wine available . One glass of the Mawson had to be taken away . Obviously the bottle was open too long. As I said , everything else was so good. Why let yourselves down with the wine list, especially today when so many people enjoy food and wine matching . Anyway we will be back , but I hope this aspect improves . I’m happy to help with the wine selection if u ever want help. Service: The service was first rate from the moment we stepped onto the vessel to the moment we left. Fabulous way to spend an afternoon. Product: Great experience, the food was amazing! The views to die for. The highlight of our trip. Service: Great value for money & exceptional service! Product: Great value for money!!!! Service: Cruise OK but a bit repetitive. Lunch disappointing - grilled salmon with a bit of salad poor value for money. Coffee extra - not particularly good. Thank you for the review of your experience of your Cruise. Our aim is always to provide an extensive variety of options maintaining the highest standards of quality, so we’re disappointed that this did not meet your standards on this occasion. Please be assured your concerns have been forwarded to our catering manager. Like all fine dining restaurants, tea and coffee are an additional extra and therefore payment is required for these luxuries. Service: It was a great service. Nice food and ambiance. An excellent day on the magnificent Sydney Harbour was experienced by our group of seven, on board the equally magnificent Captain Cook Cruise boat (ship?). The weather was wonderful, the food was wonderful and the outlook was equally wonderful. Will definitely book again. Service: The service was excellent. The food was great. We took visitors from the UK on the cruise and they were very impressed. You can't improve on the scenery, but you did show it off very well. Product: We took visitors from the UK on the cruise and they were very impressed. You can't improve on the scenery, but you did show it off very well. Service: Food and service all ok. Found the area hot at times, lack of air con. Product: Cruise interrupted by returning to dock. Not all on harbour. Service: The cruise, the setting and the 3 course meal were all excellent. If I were to be critical it would be the slight evidence of confusion among the staff early in the cruise with their approach to addressing the drinks arrangements, the selection of the menu choice and then the actual bringing to the table. We seemed to sit for a long while with no contact on any front while some other tables were into their second course. There seemed to be a need for someone calling the shots and organising who was to go to which table etc. Another minor point, it is a pity there isn't a lift up to the top deck floor. I am having mobility problems currently and the steep steps presented some slight problems. Check in and boarding smooth and we’ll organised. Staff on the ship were courteous and attentive. The 3 course meal was delicious. The ship was clean and well maintained. I would come again and highly recommend it. was very clean & our table had amazing views. Service: Meals were serviced at a good pace. Staff were friendly. Product: I enjoyed the long lunch, however; I was disappointed that my booking for the the buffet lunch was changed due to low numbers. I had specifically booked with Captain Cook Cruises because of the seafood offered at the buffet. Thank you for the review of your experience of your Cruise. All bookings on our cruises are subject to changes stated in our terms and conditions. On this case, we have upgraded you to the Long Lunch Cruise. As you are aware, a buffet can only function when a passenger quota is met. We sincerely apologise for the inconvenience caused and we hope to welcome you onboard again in the future. Service: Food and Staff were Excellent. Marketing was confusing and ultimately a let-down. In buying the premier tickets, we expected we were going on a 3 hr full harbour cruise with commentary and a nice lunch. Instead we were going for a nice lunch (it was) on the harbour and getting shuttled between stops for the convenience of others, so we got off an hour early. That there was going to be no commentary was not evident until the money had been paid and it was on the receipt. It is all about managing expectations - if we had known what we were going to be in for we would have had lunch somewhere else and bought a 'proper' cruise, with commentary. Product: Food and service was great, plus the venue. Service: Very easy to book and very clear. Product: Food was good, but expected soft drinks were offered, not only tap water. Service: Great service, friendly staff. Product: Lovely food, great atmosphere. Absolutely wondrous. My family had a great time. Best way to see Sydney. Food was generous (and I’m a biggish dude). Absolutely loved it and the food and service were excellent! Lovely helpful staff from start to finish. From the order point on the phone, to meeting and serving our lunch. Couldn't be nicer. Food was great and arrived promptly. The only comment I would make is to change your menu advertised on the website, as it was the 2017 menu and I thought it hadn't changed, but when the day came it was a bit different which was a good thing. Arina was the lady who looked after us all afternoon during our celebration and she did a superb job! She was very friendly, professional and helpful throughout the cruise. We would highly recommend for people to have their celebrations on The Long Lunch private dining area - Sirus Roomwith Captain Cook Cruises! Service: Received what we felt like royalty treatment! 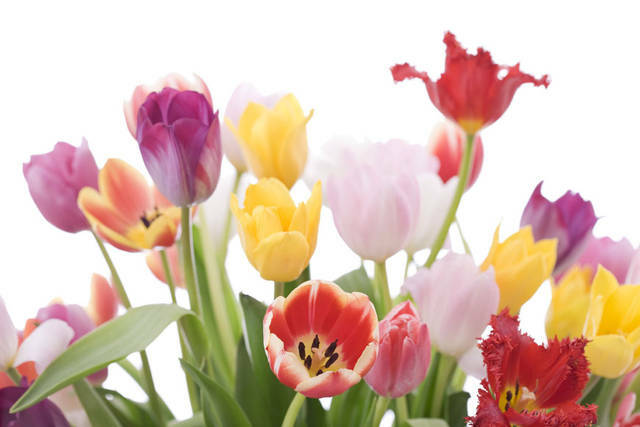 Service: All staff were extremely pleasant and efficient and well presented. Food was good but could have been hotter. Our waitress, Eesha (sp) was especially efficient and attentive to our requests. Ship was very well presented and clean. Our guest was celebrating his 80th birthday and thoroughly enjoyed the experience. 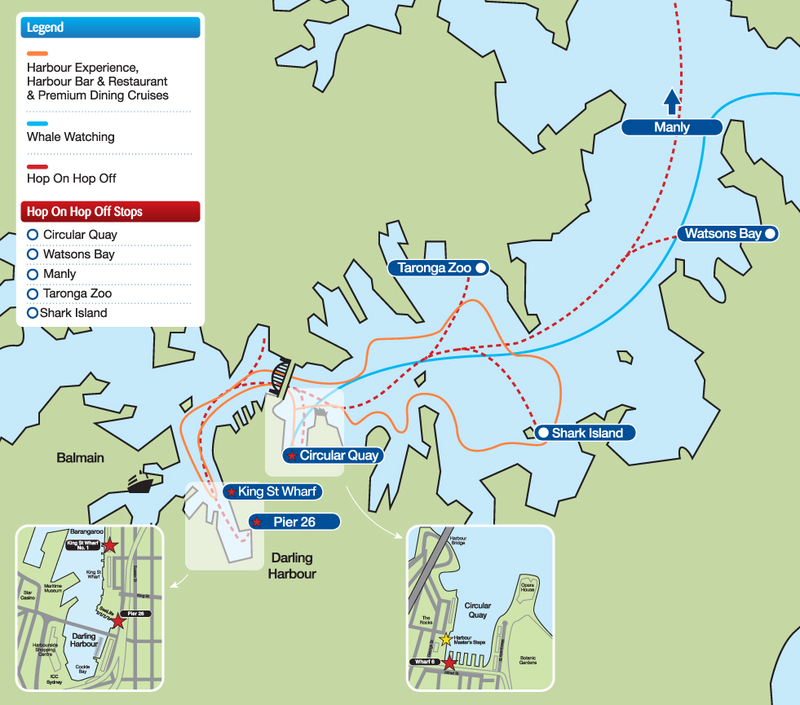 Product: Cruise was 3 1/2 hours and we thought that the route would include more of Sydney Harbour than it did. The route was repetitive with time spent at Circular Quay and King Street Wharf. Last 1 1/2 hours a waste. Cruise to Manly, Balmoral, Hunters Hill & Parramatta River would improve experience. We had no commentary in the top restaurant. Thank you for the review of your experience of your Cruise. As you know we do strive to deliver world best practice customer service from booking all the way through to the end product – so your review for this is very satisfying to receive. Your comments are very much appreciated by all our hospitality staff and a copy of your email has been forwarded onto their department manager. We are sure they will value the positive feedback too. We display our cruise routes on our website for all our cruises to enable customers the opportunity to know where they will be cruising and what to expect. Our Long Lunch Cruise doesn’t provide commentary, as this would interfere with the great conversational ambience. We offer a variety of cruises that include commentary such as the Seafood Buffet Lunch Cruise, Harbour Story Cruise and Harbour Highlights Cruise. Service: Absolutely fantastic! Great food, excellent service, awesome day, my third trip. Product: It is the best way afternoon. 5 of us had a fabulous day. Weather wise it was a good day only made better by the excellent food and attention to detail by the staff. Lovely to just be able to put your feet under the table and be treated with respect. Service: This is one of the best valued packages, and always a favourite, the food is top notch, (love the salmon) great service from the attentive staff, and the views are a million dollars. Product: Best value for money tour. Service: excellent service and food. We thought the cruise was too long for the children, they got bored on the last leg. Service: We chose the 4 hour package and charged drinks back to our bill. Every one commented how good the food is! The young girl looking after us made us feel very welcome. The cruise vessel is amazing what a superb way to view Sydney harbor and its surrounds! Product: Well priced and worth every dollar paid to see the smiles on the faces of our team! The service was excellent... Really enjoyed the food .. The Service was great, it was well organised and the meal was lovely. Yes we would recommend the cruise to friends. Boarding process was very disorganised - not explained Seafood lunch same boat, different level. The service was fantastic, however the price for new year's was too expensive. Would absolutely recommend this cruise to anyone. The price was reasonable. The food was lovely and the service was great. The assistance we received for the member of our party with mobility issues was also fantastic. Thank you for a memorable afternoon. Very good, maybe because we were on a smaller vessel which had less customers on it. Service: I made a mistake in booking the cruise (wrong date) but the booking team were very helpful in correcting the error and sending out the corrected information. This was our second cruise with CCC ( first only a few weeks before) and we were delighted with every aspect of the organisation. Product: A great family experience as we celebrated an early Christmas lunch. Great cruise with quality food and service. Service: The food was very good and the service was excellent. The cruise itself was disappointing as we only had a short cruise before we went back to port to drop off the people who had the seafood buffet and picked up the high tea customers. Consequently the advertised 3 h cruise turned out to be 2 by 75 min cruises interrupted by 30 min at the wharf. Boat was comfortable but VERY noisy. Food was good and staff were friendly, polite and helpful. Service: We booked the Sirius private room for a group of 21 and had a very relaxed and enjoyable day. We were well attended throughout the cruise and I couldn't really fault it for the amount we paid. Amenities were all very clean and modern. We did however choose the premium drinks package which everyone had to be on (although about four in our group did not drink alcohol) - and on the day there "was not" Little Creatures beer on the menu as is advertised in the example drink menu on their website. Nor was there a suitable replacement for this. That was the only disappointment. Product: Food was good although a few of us had meat slightly overcooked (not medium rare). Service: Nice trip for older and younger in particular for family with babies or toddler. 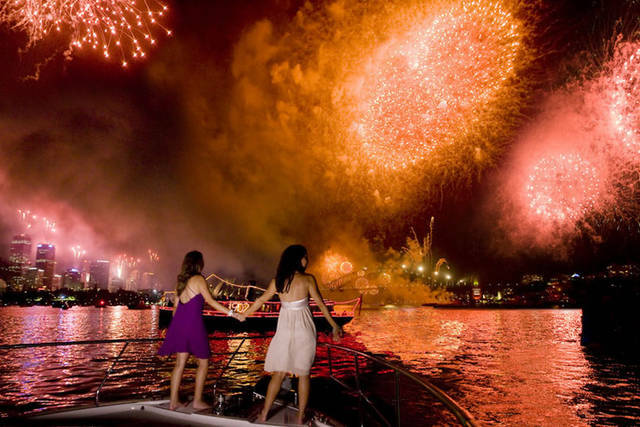 Your can have together a beautiful trip on the Sydney Harbour with guide and also taste an excellent Australian Long Dinner (Fish or Meat or Vegetarian as you prefer). Product: Nice trip for older and younger in particular for family with babies or toddler. Your can have together a beautiful trip on the Sydney Harbour with guide and also taste an excellent Australian Long Dinner (Fish or Meat or Vegetarian as you prefer). Service: Food service, wait staff fantastic and addressed our group requests. Food was great, but appears same menu from one year ago. Desert menu seemed to be the only new variety. However food quality was beautiful. Product: Food fantastic, this is second year attending. Believe menu was the same entree and main a year ago. Would like something new for next year. Service: Doing the same circuit twice didn’t make much sense. Product: Easy to book online even the day before. Service: The cruise was well organised, table seating was perfect - spaced so each table had ample space - , general atmosphere was quiet enough to talk and our waitress was genuinely lovely. The food options covered many dietary requirements and the food was really delicious. My friends can be hard to please but raved about the food. The long lunch option is recommended as the shorter option would have meant we would have been rushing our meal. I would definitely recommend this option even to Sydney siders. Our only disappointment was that it was meant to be a Christmas Cruise and there was no decorations or music. There was limited information on where to get on or off as we were given our drinks bill an hour before we departed. Service: Easy to book online; great service; high standard of food and beverages. Product: Food and beverages were a high standard, great service, comfortable surroundings. I would just like to say that your customer service is above and beyond, from all levels of your staff from the waitresses, admin, chefs, doormen nothing was too much trouble. Everything about booking this venue has been made trouble free, all of the staff that myself or our guest dealt with were more than competent. Service: The overall experience was good but could have been great with the front desk experience from the pier and wharf desk. We had over 35+ guest for long lunch cruise and was placed in the private section of the ship. It was such a beautiful experience. Our staff complimented on the 3 course meal. It was delicious. We had a hiccup with guest seats but they quickly got that rectified and hassle free. They were accommodating. The only bad experience I had was when the Pier desk only printed 25 onboard passes but I had increased the number of guests since my initial booking. The wharf 1 desk did not believe that I was supplied short and refused to provide the right number of boarding passes even after I have collected all 25 passes from all our staff to physically show her. Pier desk should have counted the passes to match what was on the amended record document. Luckily, I had the print out document. So she asked that I showed it to the staff onboard. Also, I was told that I could arrange the drink package when we get onboard but later asked to do so at the wharf 1 desk before the ship leaves so I had to run and pay this at wharf 1. It would also be good to know when the desserts are being served. Most of us was on the deck and didnt realise that the dessert plates had been placed on our table. Apart from that....It was good, and enjoyable experience. Product: The food was delicious! Our staff compliment on the variety of choices. It was perfect! Service: Excellent cruise and staff. The meal and drinks package is highly recommended. Thank you for a great day. Service: Service was great, wine selection was lovely, food was delicious (particularly the flourless orange cake dessert) and the scenery was perfect. Product: Choices and food were both great. Service: Staff were excellent food was delicious nothing was too much trouble ! Product: Easy to book awesome day everyone loved it ! Service: Good food good service good value. We have been on the lunch cruise 3 times now and have enjoyed it each time plus we are due to go on again this month with friends for our exmas get together. Service: This day was to be a special occasion for us and all the arrangements were to our real satisfaction. Original booking was courteously handled; our personal table by the window was well selected by staff and both the meal and table service were professionally presented. Product: four stars indicate a high standard anyway and as we all know, there is always room for improvement. Perhaps some commentary on the later stages of the cruise (after lunch) would be appreciated by guests. Service: Excellent service and food. Would recommend this service. Product: Service and food excellent. Service: Excellent service. We didn't need to ask for anything. We were well looked after. Product: It was enough time to enjoy our 3 course meal, have a few drinks, a chat and lots of laughs. Well worth every dollar. Helena, who took care of us were awesome! Food, ambience and view was good. It pays to pay for the premium package. Everyone had a good time. Thank you! Very warm welcome when we boarded. Excellent waiting staff' great food, would definitely travel again and would highly recommend to family and friends. We have previously travelled on board the Murray Princess and are happy to see the the same high level of service continues. Congratulations to all your staff! Had a great day out. Lunch lunch always good. Service: Bookings were quick and easy. E-mails were concise and informative. Security regarding who I was when picking up the tickets was studious. Pleasant interactions with departure crew. Shipping crew were diligent in safety. Dining staff were friendly and fun to talk to. FOOD WAS DELIGHTFUL. Harbour in all it's splendor is to God's credit. ALL in ALL we would recommend these cruises to everyone. Thanks. Product: Cost effective. Fun to do. Great way to see Sydney. Service: Booking office staff great as we were running late , waiter staff were all brand new and being trained so was a little frustrating as they were doing some random stuff and we had to keep calling them over to ask for things . The meal was nice but felt very rushed - it could have easily been spread over the whole cruise rather than crammed into the first hour - especially as they were only 7 other tables on the deck . Thank you for review of your experience of Captain Cook Cruises. We can assure you that our staff are trained to provide our customers devoted and efficient service. We always encourage guests to talk to the Cruise Director on board if they have any concerns, especially regarding food, drinks and service as they will be able to solve the problem immediately. Please be assured your concerns have been forwarded to our catering and hospitality manager. Our cruise duration is optimised to provide the best timing between courses, as well as allowing customers to enjoy the ambience and views unobstructed by food. Thank you for your review of your Long Lunch Cruise. Our cruise times are listed on our website for complete transparency for our customers and we follow this as closely as possible. We believe our pricing to be equal to any contemporary dining establishment in Sydney. Excellent service and friendly staff. We thoroughly enjoyed our meal and the trip on the harbour. Service: Service & food were fine. Particularly pleased that we could pay for the drink bill individually - those who drink less weren't subsidising those who drink more. Product: Everyone in our party enjoyed their meal. Beer listing lacked imagination. Service: Went on the Long Lunch. We had a beautiful day food was good and the Service was excelent. Product: Food was very nice a good selection. Had the table service. Wine a bit dear but very nice. Service: We were made to feel very welcome. The service was exceptional. The food was exemplary. It was my sons 40th birthday. We all had a wonderful day out on the harbour. Product: Please see the above comments. Service: The vessel was well presented and the staff very courteous. Food was of a good stansard and well presented. We were on the Long Lunch cruise and we were disappointed that their was no commentary . We also paid for the drink package and found that once all course were served the staff seemed to slow down on the table service . We are not big drinkers but I don't think we should have to chase staff to ask for a drink. Product: Refer above for all my comments. Service: The one stand out feature of our trip on Wednesday 24th October was the young lady that looked after us that day. We were up on the top deck for a long lunch. As I do not remember the name of the young lady perhaps you could look at your roster and tell her what asset she is to your business. The food was of a very good standard and the cruise itself was very enjoyable. The only criticism we have would be the dessert. We feel that they should serve cream or ice cream with the slices as they are a little dry without anything. Once again our congratulations to the young lass that served us, WELL DONE. Product: I have covered all our opinions in the last, RATE YOUR CUSTOMER EXPERIENCE. Service: The crew looked after us excellently on our lunch cruise for our 50th wedding anniversary. Product: The team looked after special dietary needs very well. Food was great and well prepared and very tasty. The food was 5 star, fresh and the meat was cooked perfectly to what we requested. The cruise was lovely and the lunch was delicious! We did a lot of research before selecting the Long Lunch Cruise which was supposed to have been about 3 1/2 hours, but in the end it was only 2 hours long. We could have stayed on board for another loop around the harbour, but that would have taken another two hours and we would have missed our collection time. We should rather have chosen a cruise with a proper commentary. Thank you for your review of your Long Lunch Cruise. Our cruise times are listed on our website for complete transparency for our customers and we follow this as closely as possible. We also display our cruise routes on our website for all our cruises to enable customers the opportunity to know where they will be cruising and what to expect. We also offer cruises such as our Harbour Story cruise, which offers live, personalised commentary providing insights from our highly experienced commentator. Service: Great cruise, wonderful staff, beautiful food. Fantastic views what more could you want. We had booked our cruise for March. However, my wife suffered an illness just at that time which put her in a wheel-chair. Captain cook Cruises were very helpful in allowing us to postpone our cruise, which we then had two weeks ago. 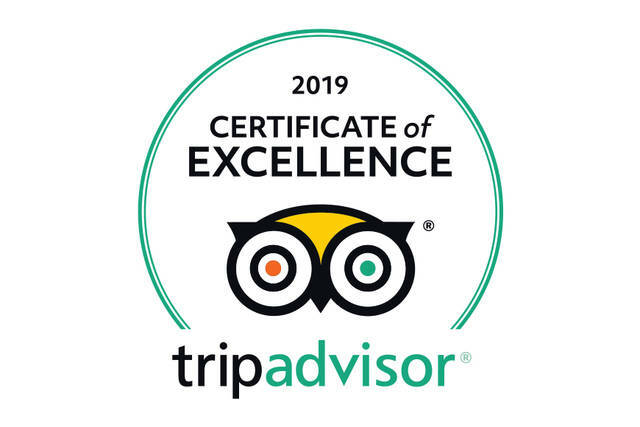 We are very grateful for the assistance we received getting on and off and for the personalised service given to us on the lower deck, by the lovely and friendly staff. It is a big thing for us, that despite disability we can still enjoy so many things in life. Service: The service was prompt and professional, good value for money. Product: The food was excellent, presented and tested good. Service: I asked for a nice table for my hubby who was celebrating his birthday and they even put a sparkle on his dessert. It was a lovely surprise. Product: Meal was beautifully presented and a good selection. The food was very good. The cruise enjoyable. Staff attention to table service could have been better. Service: The atmosphere during cruise was fantastic. Staff was very helpful and pleasant throughout our stay on board. A great choice of meals which catered for all tastes, cooked perfectly and presented well...Taste sensational. The length of cruise was such that you were not rushed to eat you meal and could take in all the sights and enjoy the whole experience. Loved every second of our anniversary cruise. Beautiful harbour cruising - even on a rainy day - excellent food, friendly help for a person with mobility problems (2 flights of stairs ! ) wait staff most cordial ,but not too attentive to detail. The perfect place to see our harbour, thank you. Product: Delicious meal, and service. From the moment on board our host V was good humoured and hospitable. The cruise was very comfortable, meal very good quality and the drinks flowed making this experience worth every cent. Brilliant Sydney! Very enjoyable cruise, helpful and friendly staff. excellent qualiry and value 3 course lunch and wine. Service: Excellent service provided by the staff. Friendly and approachable. They even waited an additional 5 mins so that one of the group members (who was delayed) was able to make it for the cruise on time. I wanted to acknowledge Elmer (our waiter) for his kindness towards my mother who was struggling up the stairs. He came to her assistance unsolicited, demonstrating care and courtesy and helping an old lady feel respected. Thank you Elmer. It was awesome! The service was also great! Thank you!!! It was a very relaxing afternoon. The food was delicious and l would have expected the same dish in a 5 star restaurant. Service: The staff were excellent and looked after us for the 3 hours we were on board. Would recommend the trip to everyone. Product: A few extra vegetables would have been nice. Ensure that the waiters don’t get the order wrong as he did with me on more than one occasion. If cooking beef tenderloin to a medium request, that it is cooked right through and not raw in the middle as was mine. I actually fainted and vomited my food because of my inability to digest the raw meat. Thank you for your review of your Long Lunch Cruise experience. We always encourage guests to talk to the Cruise Director on board if they have any concerns, especially regarding food, drinks and service as they will be able to solve the problem immediately. Please be assured your concerns have been forwarded to our catering and hospitality manager. Service: La comida ha sido excelente. Hubiese deseado tener más información sobre los beneficios de cada una de las opciones disponibles para el momento de la compra de los boletos. Aún cuando he quedado muy satisfecho con la experiencia, en general, estoy muy seguro que de haber optado por el almuerzo en la parte superior de la embarcación, hubiese sido una experiencia aún más grata. Product: Muy buena experiencia, pero hubiese deseado tener mayor información sobre las opciones disponibles al momento de comprar. Service: Celebrating my mother’s 90th birthday - overall we had a great day, once we were on! The info on the website was a bit hard to follow and finding the actual wharf where the boat left could have been better communicated. We only just made it onto the boat in time. Product: Celebrating my mother’s 90th birthday - overall we had a great day. Could have had a really awesome day!. Excellent delicious food promptly delivered. Very comfortable dining setting with great views from every angle. Service: Enjoyed the cruise and service. Food was good and service was good but lunch was rushed. Service: Great experience, great staff, great boat, great food. Would definitely do again! Product: Great experience, great staff, great boat, great food. Would definitely do again! Service: The staff were very attentive without being intrusive. We could not fault our Long Lunch cruise with Captain Cook Cruises. From the food to the service it was a most enjoyable day. Thank you. Product: It's great value for money. Service: Staff were excellent, menu was great, cruise was fantastic, day was the best. Product: It was a perfect day with good friends. Service: Very easy to make and manage booking with responsive online and text updates. Product: Lovely food, well presented and quite tasty. Had booked for buffet but was changed to Long Lunch by Captain Cook Cruises. This ok by us. Service was competent and will likely get better with increasingly experienced staff. The beer was flat and warm. The entree of ravioli was under cooked. The steak, it was good. Thank you for your review of your Long Lunch Cruise. We continually monitor all aspects of the production chain including receipt, storage, distribution, cooking and presentation to ensure a top quality and consistent product is presented to our guests. We always encourage guests to talk to the Cruise Director on board if they have any concerns, especially regarding food, drinks and service as they will be able to solve the problem immediately. Please be assured your concerns have been forwarded to our catering and hospitality manager. Product: I appreciated the fact that due to my wife being unable to join the Cruise, the cost of her ticket was transferred to the Bar Tab. A splendid outcome. Service: The visual experience was spectacular but the dining experience was underwhelming.The medium rare steak was overdone and quite dry.I commented about this to the lady who served us but there was no offer to rectify the situation.Her English was poor and she may not have understood.Cooking a steak is not rocket science and I am surprised that the task was beyond the so called chef.I thought that a coffee would be supplied in the cost of the meal.It was not.I received an instant coffee for $4.00.That's right...an instant coffee!If I was rating this on the food alone it would probably rate 1.5 stars. Product: I already did.To summarise the medium rare steak was closer to well done and was dry and the coffee was an extra charge when it arrived was intant coffee not brewed.Also all staf should be able to communicate well in English. Thank you for your review of your Long Lunch Cruise experience. We can assure you the all of our hospitality and catering staff are all fluent in English and we employ a range of nationalities from many countries. We always encourage guests to talk to the Cruise Director on board if they have any concerns, especially regarding food, drinks and service as they will be able to solve the problem immediately. Please be assured your concerns have been forwarded to our catering and hospitality manager. Service: Couldn’t find fault- staff, service & food was excellent. Would buy again & would certainly recommend to others for a special event. The quality of the food was excellent as was the service. Very happy with the cruise. Service: We bought the lunchtime cruise for Louise and Marty as a special gift for them, visiting from Adelaide for their birthdays. They were overwhelmed with the excellent service they received from all the friendly staff on board. We wanted to do something special for them considering they'd never been on a harbour cruise in Sydney before and the experience was everything we could have hoped for. They also appreciated the insights provided by the commentary and felt it was a great addition to their experience. Definitely recommend for anyone looking for a great way to experience the beauty that Sydney has to offer. Product: Decent value, our parents really enjoyed the food and remarked on the great quality of each course. Best best best. Food has really improved and its better than before. The service was greaaaaat. Service was poor. Had to ask for bread rolls and main course. We disembarked the boat an hour earlier as the experience was not enjoyable due to poor service. Thank you for your review of your Long Lunch Cruise experience. We can assure you that our staff are trained to provide our customers devoted and efficient service. We always encourage guests to talk to the Cruise Director on board if they have any concerns, especially regarding food, drinks and service as they will be able to solve the problem immediately. Please be assured your concerns have been forwarded to our catering and hospitality manager. Product: Nice meal. Nice location. Service: We had a lovely relaxing day cruising the harbour with excellent service and fabulous food when we purchased the long lunch option from the Captain Cook cruise website. Highly recommend! Service: From my ticket purchase to our greeting on boarding to the beautiful food and friendly staff . It was an amazing afternoon. Product: I did a phone booking with immediate email acknowledgment. I also receive a very quick response to a special request . Service: Long lunch menu was value for money - 3 courses X 3 choices is in line with Sheraton / Westin/ Intercontinental. Staff attentive, efficient & courteous - went the extra yard not only for my wife's birthday ( sparkler on her desert & sang happy birthday to her) but also to the couples either side celebrating wedding anniversaries ( sparklers on both dessert & verbal congratulations). As I am still recovering from pulling both hamstrings they could see my wife's concern about the 24 steps down the toilet. They took the effort to check on me , without my being aware, & then advised her I was OK. Product: As indicated above the standard of the 3 courses X 3 choices was comparable to Sheraton/ Westin / Intercontinental main restaurants & at discounted $79 PP good value while the full price of $99 PP is of comparable value. I had to call to make a booking as the is no option for infants online. I was assured that I could have a highchair for my 8 month old only to be told that they only offer a booster seat which was far too small for her to reach the table. Whilst this was unpleasant, the service we received was great. They offered to move our table due to a large rowdy group next to us and the food was superb. Despite a rocky start, the whole 3.5hr cruise was a lovely day out. Service: Wonderful day absolutely will be recommending to all. Specially recommend the service it was fantastic. Product: A great experience one for the memory bank!! Service: Very friendly informative service. The wait staff explained the extra time on the cruise well which gave us the opportunity to have a rest before desert was served. Decaffinated coffee was found and served. We got some nice photos taken. Product: Enjoyed the salmon. It was great to have a vegetarian option for our guests. Service: have disabled ramps inside to slide over the staircase so wheelchairs and people like myslef with bad knee injuries wont be forced to walk stairs and excasberate my already injured injuries also people sit way too close I heard the ladies tummy sitting next to me and my guest tummy rumble it was quiet awkward. so the set out of seating arrangement needs to be improved imediatley as a third wheel on any intimate lunch will always leave the food just consumed unsettled. Product: pretty bland menu it was more an appitiser serving not lunch but still good for the price and sail. Thank you for your review of your Long Lunch Cruise experience. We were disappointed to read that you felt that there were some aspects of the cruise that could improve. We always encourage our disabled guests to opt for seating on our show deck, as this is disabled friendly. Seating on upper levels of the vessel is the customers prerogative, and whilst we will always try to accommodate customers to the best of our ability, this is the customers decision with which we are not responsible for. Thank you for your suggestions regarding the seating and menu, we will forward this to our hospitality and catering manager for review. Service: Have purchased long lunch tickets for my mother and I on line three times now and have had no issues . The on line discount is also a bonus, food delicious - so thanks. Service: Our long lunch was FANTASTIC, the food & service was great, best Stakes we have had in Australia in the last 10 years, the whole cruise from start to finish was perfect, we will do it again and recommend the cruise to all our friends. Product: Fantastic Sydney 2000 cruiser, followed by the food & staff, making it a wonderful day out. Wonderful staff, thank you for a great day. The food was nice, but I felt like because I rode alone, the wait staff didn’t pay as much attention to me. I also thought the music (80s hits) didn’t match the vibe of the cruise and was a little obnoxious. The views were nice and I liked that rode past places multiple times so I could get plenty of pictures. Service: Vivienne our was wonderful and entertained our grandchildren and provided excellent service to our family. Product: Food was nice although serving adult size food to our grandchildren was a waste. Service: The staff was very helpful and engaging. The restaurant was clean and the food was excellent. When we travel to Sydney next we will book again. Product: The food was excellent. Wi down seating is essential to take photos of the harbor. Staff was very friendly. Service: The meal was excellent, but the service was a bit slow. Some of the staff were hard to understand. Service: Staff were very helpful and polite. Food was delicious. Unfortunately we had to go up and down 2 flights of stairs to get to the toilets. They were crowded and filthy. i advised a staff member so hopefully this was dealt with promptly. Product: Excellent food and service. Great service, excellent food. Thumbs up! Service: It was absolutely fantastic, and would do it again tomorrow. Service: Best experience to view the harbour. Product: The plating was topnotch and service was supperb. Service: Everything was perfect except I would have liked commentary on the top floor. Product: The meal was perfect, also catered for a fussy eater. Service: Friendly staff, on time, lovely meal, good service. FOOD AND SERVICE VERY GOOD.PERHAPS CRUISE COULD HAVE GONE FURTHER DOWN THE HARBOUR INSTEAD ON DOING 2 LAPS. Service: What they did wrong. Tired to organise a birthday cake, seemed impossible, as no communication back from answer phone, and COMPLETE INABILITY to talk to anyone. Shuffle between pick up and drop offs, longer and more than expected, but not a complaint Reality I guess. Product: iN ADVANCE 100 PERCENT TOO LONG, ESPECIALLY AS BOAT HALF EMPTY, ON OUR LEVEL. Thank you for your review of your Captain Cook Cruise experience. As you know we do strive to deliver world best practice customer service from booking all the way through to the end product – so your review for this is very disappointing to receive. We always try to communicate with our customers as effectively and efficiently as possible. We apologise that this wasn’t the case on this occasion. Please be assured your comments have been forwarded to our hospitality manager for review. Photographer should tell the customer that their will be a cost of photo before taking the photos. Thank you for your recent review of our Long Lunch Cruise. We were disappointed to read that you felt the entertainment and photography wasn’t to your standards. Selected cruises offer entertainment; however, the design of the Long Lunch Cruise is focused on a conversational ambience and the stunning setting. We outsource photographers as an additional optional courtesy for customers who may want a memento to remember their time on the harbour. Although we booked a LONG LUNCH, we had completed our meal and been given our drinks bill by the end of the first round. We got the feeling that they wanted us off the boat then, rather than provide service for the second round. Product: value for money - options to get off at several times - but we stayed to the end. Great service, excellent food, fantastic spot in the third floor private dining room . Service: Great window seats for party of five. Food and drink service first class. Staff friendly, helpfull but not overbearing. A great four hours that I would highly recommend to locals and visitors to Sydney. Product: First Class facilities, food and drink, great day out. Service: Enjoyed the trip so much in the cruise. We got a window seat and the views were stunning. Went to sky deck and took some nice pictures. Very nice food from entree to desserts. Friendly staffs. Good service. Toilet was big and clean. So far this was the best one from our Sydney trip. Highly recommended. Product: Quite worth it. this price with 3 hours stay in the cruise. One of our group had a fall and had to use a wheelchair. From staff at the check in to staff on the cruise ship, we were attended to in a professional and courteous manner. Our group was moved from the top deck to the deck below to accommodate the wheelchair and our waiter was very friendly and courteous. The same staff member was helped by another member to get the chair off an up the ramp to level ground, we are very grateful for the kind assistance. The cruise boat was well appointed and glided around the harbour showing all the sites. We enjoyed the meal which was well presented and yummy. The service too was spot on! Highly recommended tour! Service: Service was a bit slow. Service: Cruise was punctual, crew were very pleasant and provided service of a high quality. Ship was very well presented, meal was very good as well, and overall my party thoroughly enjoyed the outing. All say " we need to do this again"
Product: Was good, food its getting smaller and smaller during the years from cruise to cruise. Thank you for your recent review of our Long Lunch Cruise. We were disappointed to read that you felt the cruise itinerary of your cruise wasn’t to your standards. We display our cruise routes on our website for all our cruises to enable customers the opportunity to know where they will be cruising and what to expect. We’re pleased that you enjoyed the service. As you know we do strive to deliver world best practice customer service from booking all the way through to the end product – so your review for this is very satisfying to receive. Your comments are very much appreciated by all our hospitality and catering staff and a copy of your email has been forwarded onto their department managers. We are sure they will value the positive feedback too. Service: Very well organised team, particularly personalized attention right to table service. Lovely service with a smile throughout. would have been perfect with classical music in the background. Food was excellent, lovely touch of complimentary chocolates. Thank you. Will go again. Product: For the amount of food received it was a little over rated. Thank you for your recent review of our Long Lunch Cruise. We were disappointed to read that you felt the amount of food on your cruise wasn’t to your standards. Our aim is always to provide an extensive variety of options maintaining the highest standards of quality. We always encourage guests to talk to the Cruise Director on board if they have any concerns, especially regarding food, drinks and service as they will be able to solve the problem immediately. Please be assured your concerns have been forwarded to our catering and hospitality manager. We’re pleased that you enjoyed the service. As you know we do strive to deliver world best practice customer service from booking all the way through to the end product – so your review for this is very satisfying to receive. Your comments are very much appreciated by all our hospitality and catering staff and a copy of your email has been forwarded onto their department managers. We are sure they will value the positive feedback too. Service: Fantastic. Already planning our next cruise with friends. Product: The long lunch gave us time to relax between courses and to enjoy the harbor views. The food was fantastic and was served promptly, when we were ready for the next course. Had a nice wine with the meal but the coffee was a little disappointing. Needed more coffee taste. Service: Staff were incredibly efficient, always at hand but never intrusive. Staff were pleasant and the overall atmosphere was very relaxing. We had a wonderful experience and would love to try another cruise experience. Product: Lots of time to relax and enjoy the harbour whilst enjoying delicious food cooked to perfection. Service was great. Your staff were smiling and recognised us from our last visits. Service: The staff were extremely helpful on every point. Product: The booking online was very easy. The staff was extremely obliging and helpful. The food even being a little bit too small !!! was good. And the Captain of the ship...BRAVO ! to be able to manoeuvre his ship in and out of the birthing place !!!!!!!!! Only a few centimetres on each side !!!!!!!! !Simply AMAZING !. I would recommend ( I have done so many times...) this outing on our Most Beautiful Harbour. Service: The lovely lady in the bookings office was helpful and fun to deal with! Can't remember her name but she was from the West Country in the UK. Also, great service from the cruise director (originally from Hungary) - really customer focused and attentive. Product: Exceeded expectations! High standards of customer service, attention to detail, great food and cleanliness. Service: Captain cook cruise ship left on time, service and meal excellent and commentary informative. Loved it. Product: Food and service excellent. Thank you very much for such a wonderful day Captain Cook Cruises! The service was amazing and the food fantastic! Such beautiful weather made for a great time on our lovely harbour! Thank you! Product: Food was appealing, well presented and yummy. Service: From boarding to disembarking the crew could not do enough to make my disabled 86 year old mother comfortable. Food was surprisingly good and our waitress was extremely helpful. The sights of Sydney Harbour were mesmerising. Would recommend the Long Lunch to everyone. Product: Food was excellent and service was first class. Our welcome aboard was very friendly and we were shown to our table relight awY. Our waitress introduced herself and served us with professionalism and a great sense of fun. Service: Very good, seating was advertised as “guaranteed window seat” the seat we were provided with was not as advertised but an inside seat. Product: Cruised advertised as being 2 hours we spent 30 minutes tiedup at the Darling Harbour Whalf at the end of the cruise before move to Circular Quay. Service: The service was great, even they did light kandle for my granddaughter. Bella looked after us during our Long Lunch. She was fantastic and so was the food. Thanks for a great day. Service: Polite, friendly and quick service. Beautiful 3 course meal and cold beer. Will definitely use Captain Cook Cruises again and recommend to family and friends. Wonderful way to view Sydney Harbour. Product: Great value with alcohol package.